Most people had no idea what cupping therapy was about until the 2016 summer olympics. 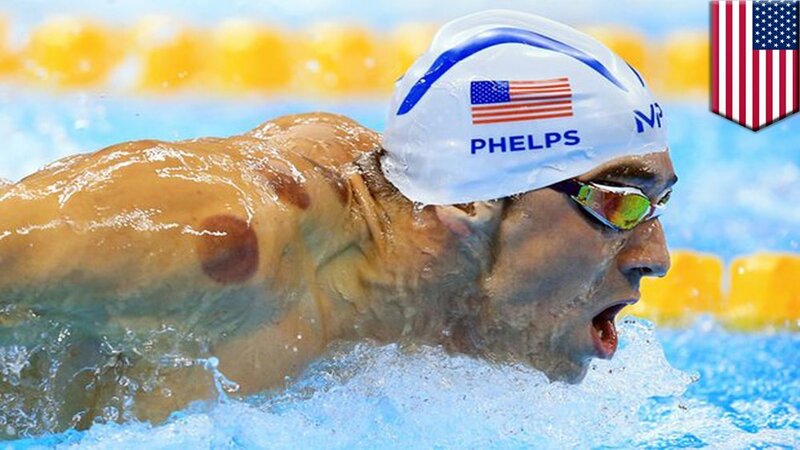 Michael Phelps sported dark purple circles all over his body which left people asking "what the heck is Michael Phelps doing to himself?". Michael Phelps is a firm believer in an ancient form of Chinese medicine called cupping. He used it in recovery from all the hard training he endured getting ready for the summer games. So what is cupping therapy and how does it help? Cupping is when a therapist places special cups on your skin that creates suction. Commonly used by acupuncturists, massage therapists, & other practitioners of manual therapies; they can be used for several purposes. Cupping can help with pain relief, inflammation, blood flow, and it generally feels pretty relaxing to receive the treatment. Having a cupping treatment along with deep tissue massage definitely feels amazing! So how does it work? The suction from the cups expands the blood vessels beneath which increases blood flow to that area. The soft tissue gets saturated with fresh blood, while the vacuum of the cup pulls stagnant blood out of the area. In effect this creates a "hickey" like area which is the dark red, purple circles left by the cups. They can look like bruises, but they do not hurt, and the marks are usually gone within 2-5 days (also depends on the type of cups used). As we get older, the connective tissue can become "stuck" where someone has less range of movement. Using cupping therapy here is very beneficial, which aids those suffering from chronic pain symptoms. In some instances, clients have told me they feel more benefit from the cupping than they do from massage therapy (Blasphemy!). So what types of cups do therapists use? The cups can be made out of glass, bamboo, earthenware, & silicone. When using glass, therapists will use a flammable substance such as alcohol & set it on fire. The therapist extinguishes the fire and immediately places the cup on the client. As the cup cools, it creates a suction on the body which can feel pretty strong at first. In more modern versions, therapists use a pump for the suction or use silicone cups which do not require pumping or heating. In my office, I use the silicone cups you see below. Have I mentioned that I absolutely love the combination of deep tissue massage along with cupping? The versatility of the silicone cups I use allows me to keep the cups in one place, or move them along with the massage. I primarily use these cups on my clients backs such as the top of the shoulders & shoulder blade regions. Cupping helps athletes when recovering from training. They work great for runners with super tight hips & legs. I've seen really good results for those suffering from IT Band syndrome, or any other area of the body that is very tight. Are you intrigued yet? If you would like to see cupping & massage in action, check out the video I took with a client below. At Pain Relief Massage & Wellness (Rochester, NY) you just have to ask for cupping as a part of your massage session at no extra charge. Are you ready for your cupping treatment? Make an appointment online HERE. Let me know what you think in the comments below. Thanks for reading! Running In Pain? Massage To The Rescue!